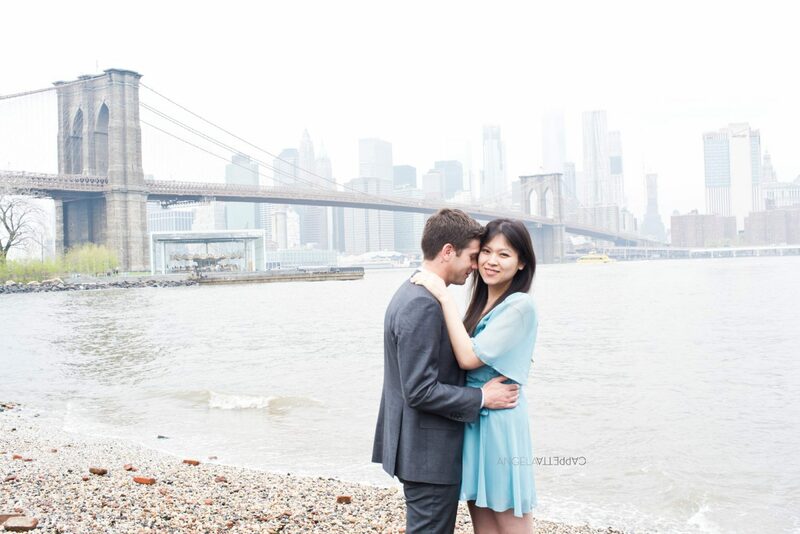 Leave it to the Brooklyn Bridge to once again provide the perfect DUMBO engagement session backdrop. It was here on an early spring day in April where we shot Andrew and Peipei’s engagement session. The fog was beautiful as it layered everything with a silver hue. When it lifted, however, we had the sun resting on our shoulders. It was like two days in one. 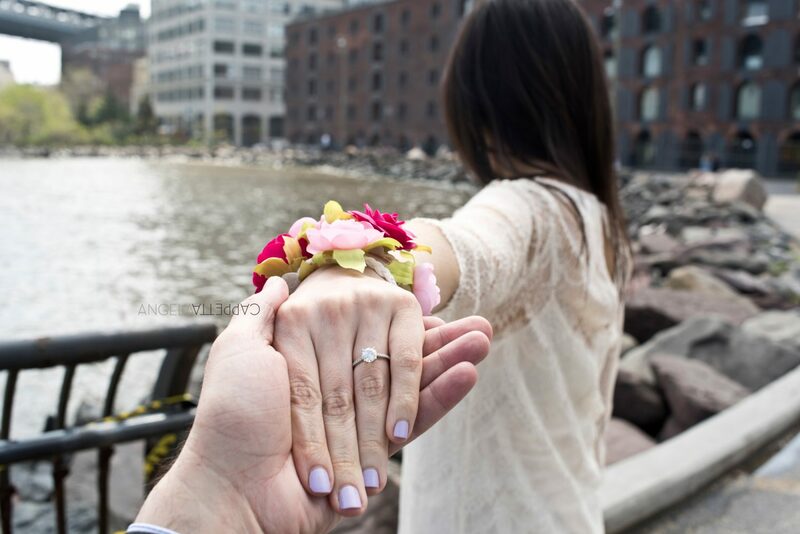 From Andy: “I had gotten Peipei to come with me to the Brooklyn Bridge Park in Dumbo just before sunset on April 8th by telling her we had an early meal. Once we got there we walked along the river from the River Cafe past the Carousel to the beach area where the waves break. See below for definition of Vinegar Hill. The pictures are going to be put in an archival album and shall also serve as their official announcement in a printed card. The Brooklyn waterfront enclave of Vinegar Hill is a tiny carpet remnant of a neighborhood. Moreover, it’s a rough but charming swatch of land largely cut off from the area around it. At the northern fringe is the sprawling Con Edison substation that separates residents from the tantalizingly close East River. To the east is the 300-acre Brooklyn Navy Yard industrial park. To the south is a mountain range of public housing and the BQE.